Diagnosis and treatment planning are the corner stone of the delivery of any health care program. Dr Barnes and Dr Gunawan will first discuss with you the intent of your visit. Our staff are well experienced and may have already briefed the dentist regarding your reason for attendance. Once we have identified your concerns and explored options to address those concerns we will devise a treatment plan in consultation with you. Appropriate arrangements will be made with you to allow for your easy completion of the proposed treatment plan. Mouthguards are a valuable protective aid to prevent traumatic injury to the teeth whilst participating in active sport. Mouthguards are highly recommended by Dr Barnes and Dr Gunawan. In Mill Park we have seen the consequences of many traumatic injuries that have caused significant consequences to our patients. Dental caries is a bacterial infection of the structure of the teeth that causes decay. If decay of a tooth is not treated it will result in pain and the loss of the tooth. The dentist removes the decayed portion of the tooth and restores the tooth with a filling. Generally fillings are described as anterior fillings (front teeth) or posterior fillings (back teeth). They are further broken up into tooth coloured (white) or metallic (silver). And even further by whether or not they are made outside the mouth in the laboratory, for example ceramic or gold fillings (these are fantastic but expensive). If the size of the decay or damage to the tooth is too great Dr Barnes or Dr Gunawan may discuss the benefits of a crown. No magic restorative material exists for the restoration of decayed teeth. All materials have benefits and difficulties. The choice is not the prerogative of the dentist. You are also involved in the discussion. Your choice of material is important. Your dentist will aim to give you the information that you need to make an informed decision. Dr Barnes and Dr Gunawan are always on the look out for cases that may benefit from the provision of orthodontic care. When you or your child consult with Dr Barnes or Dr Gunawan, please enquire regarding an orthodontic option. Generally speaking orthodontics is the realignment of the teeth to give a more aesthetically pleasing appearance. For younger patients it is the ideal for creating cosmetic improvement. It is much better than any of the other options. But orthodontics is a personal choice and we will not try to force it on you. Endodontic treatment, or as some people call it root canal treatment, is a procedure to treat an infection developed under a tooth caused by a large decay, previous deep filling or previous trauma. It is usually done over a number of visits until the area under the tooth has healed. A tooth which has undergone endodontic treatment would become darker and brittle over time and thus it is recommended to have a crown following the completion of endodontic treatment. Due to the complexity of the treatment, a referral to the specialist (endodontist) is required in some cases. An extraction is usually the last resort. It is where the tooth is removed from the jaw. For any extraction there is careful consideration of what other options are available and whether or not the tooth requires being replaced. There is also consideration of your medical history. The extraction of any tooth is a type of surgery and we must be careful to minimise any risks to you. Many patients attend the dentist in the first instance for the relief of pain. Dental pain has many origins. If you are experiencing pain that you believe is of dental origin, please contact us as soon as possible. Early intervention is better than managing a full on dental abscess. Timing of dental injury is crucial. Following an unfortunate event that has resulted in dental trauma please do not hesitate to contact us. We will invite you to attend immediately. All patients are happy to wait 5 min while we attend to an emergency. If it is out of hours please contact the Royal Melbourne Dental Hospital, 720 Swanston St, Carlton or a general hospital. Cosmetic dentistry has been around for many years. Up until 40 years ago patients would actively seek the removal of all of their teeth and request dentures because dentures looked better than their natural teeth. Obviously no longer appropriate and never was. However; unfortunately some patients have no choice but to have their tooth or teeth removed and cosmetically restored with a denture. Dentures still have an important place in dentistry. If you are not medically compromised there are other options which may service functionally and aesthetically better than dentures. Implants with porcelain crowns are now considered the best option for the replacement of missing teeth both cosmetically and functionally. Again; however there is always the odd case where implants are not appropriate. White fillings in the front teeth often stain and wear with time and need replacement. The replacement is easy and common place. Veneers, crowns and bridges are also provided for the purpose of improving the cosmetic outcome of the teeth. Dental implants are considered the best method of replacing a missing tooth in most cases. At Mill Park Dental Clinic, Dr Barnes or Dr Gunawan will refer you for an OPG x-ray at the local radiology clinic and then onto an oral surgeon for the placement of the “implant”. The implant is a titanium screw placed in the jaw to act as an artificial tooth root. When the oral surgeon has advised of appropriate healing Dr Barnes or Dr Gunawan will provide you with a crown which is either screwed or glued to the implant. The lower jaw is a very active bone with large muscular effects upon it. The lower jaw attaches to the scull at the Temporo Mandibular joint. Oro facial pain is often related to disturbances in the temporo mandibular joint. The disturbance could be in the joint cartilage, bone, ligaments or muscles of mastication. The oro facial pain from jaw disturbances is referred to as Temporo mandibular joint dysfunction syndrome. Just call it TMD (there are thousands of sites on google for TMD). Dr Barnes and Dr Gunawan are happy to assist with diagnosis and management of oro facial pain and TMD. At Mill Park Dental Clinic we provide significant number of preventive services. Prevention is always better than cure. In adults we strongly recommend the scaling and cleaning of your teeth every 6-12 months. Preventive services include your regular examination or check up and cleaning of the teeth. At times it is important for the dentist to assess specifics with the use of x-rays. At Mill Park Dental Clinic we will take the small dental x-ray at the clinic but the larger OPG x-ray of the entire jaw we will refer you to the local radiology clinic. The radiology clinic usually has the ability to bulk bill for the OPG under Medicare arrangements. Some patients will benefit from the application of topical fluoride, fissure sealants or baseline recording such as diagnostic models or intra oral photographs. Dr Barnes or Dr Gunawan will discuss the benefits of preventive actions if they are applicable to you. Professional whitening of the teeth is the process of applying a bleaching/peroxide compound to the tooth surface and allowing the material to whiten the teeth. Bleaching (whitening) of the teeth first became popular in the early 1980s. Its results can be fantastic in the right cases. In Office; where the whitening material is applied to the surface of the teeth and an activation light is applied for a period of 20 minutes to 1 hour. Take Home; where you are provided with teeth whitening trays for the upper and lower teeth and whitening gel. You will be instructed on how to use the whitening gel and how to apply and monitor the process at home. Crowns are a porcelain or metal (gold) “cap” that completely encapsulates the tooth. The purpose of a crown is to offer as much strength to the tooth that we can. A bridge is where a false porcelain tooth (pontic) is used to replace a missing tooth by being attached to a crown on the teeth either side of the missing tooth. A veneer is similar to a false finger nail but made from porcelain and cemented to the front surface of the front teeth. Veneers are commonly used to provide for cosmetic improvement of the front teeth. Dentures (false teeth) are still a very important part of dentistry. There are many circumstances where dentures are the only option to replace missing teeth. Dentures can be made with an acrylic (plastic) or metal base. The teeth used are made of a hard acrylic plastic to give good function and aesthetics. 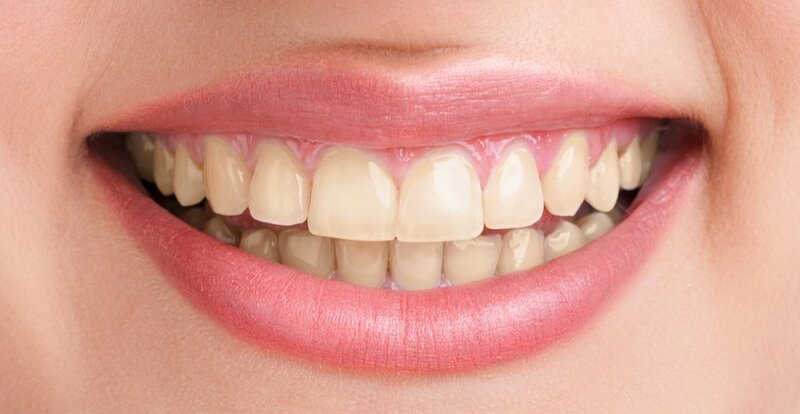 Porcelain teeth are available but have not been popular for the last 30 years because of problems with staining, chipping and noise when biting. Generally speaking the metal base denture is far more comfortable than the plastic denture. The metal denture is stronger, lighter and thinner than the plastic. However, metal framed dentures have more limited application. Dentures can be attached to implants. Some patients have a problem with the stability of dentures and elect to have the oral surgeon to place implants (artificial tooth roots) into the jaw. Upon these implants the dentures can be attached. This gives a marked improvement into the stability of the denture. Generally your first appointment is for a comprehensive examination. We will clean the teeth at this appointment. It is very difficult to assess the teeth and mouth properly without the removal of the plaque and tartar. It may also be necessary to take x-rays to examine teeth properly. For your children who do not have any adult teeth (usually children 5 and under), we do not charge a fee for examination and consultation when the child attends with older children or parents. At Mill Park Dental Clinic we pride ourself on being the old fashion family dental practice. We find it more important for the children to be introduced to the dentist early and to feel comfortable. An emergency may be because of pain, abscess, swelling, broken tooth, broken denture etc. All Dentures, Crowns, Veneers, Bridges and Implant crowns are made in Melbourne. Mill Park Dental Clinic does not supply dental prosthesis which has been made overseas. For Veneers and Crowns you will be requested to attend the dental laboratory in Kew to assist with colour selection. Mill Park Dental Clinic does not want to hide any fees. The fees above are given as a guide to assist with general information. Every patient’s situation is different and you may need more or less. Please do not hesitate to discuss the fees with Dr Barnes or Dr Gunawan. These fees are a guide only and may change without notice.